Sugar for example is being demonized as the new nicotine, http://www.dailymail.co.uk/health/article-2541589/The-sugar-detox-Health-experts-calling-sugar-new-nicotine-This-major-series-two-leading-doctors-DEFINITIVE-guide-kicking-it.html?ico=home^headlines - see here highly addictive and can lead most commonly to diabetes. Yet in moderate amounts it has no long lasting health problems. Gambling and drunkenness (alcohol abuse) is a sin in Christianity too Al. Just making that clear . Al.. lets be honest. In as many posts now you have not provided one piece of data which proves there is a risk of health problems with moderate alcohol consumption. That was what this thread was about. The social ills which you speak of is not the fault of a substance.. but the the moral make-up of those who both abuse it and of those who sell it in places considered immoral. That's quite different to those who enjoy wine when dining, dining with friends, having company at home, celebrations etc. Alcohol like a gun is only immoral depending on the morality of who's handling it. Al the link really only quotes from Islamic literature on why alcohol is prohibited for Muslims., followed by the assertion that at some point in unknown history as the islamic claim goes that Christian scripture was altered and hence why Christians may consume alcohol today.. I mean c'mon Al, this is fine reading if your a fully fledged Muslim trying to understand what Islam teaches, but it doesn't bolster anything to the claim of the initial post or in any-way take away from the credibility of the Bible. Thats a wholly other argument altogether ..Biblical/Quran legitimacy. I know people who have drunk wine in moderation all their lives long without any negative consequences. However, if you avoid it at all you are on the "safe side", not only concerning alcoholism and liver problems, but also you don't have to worry about drinking and driving :). So were agreed that there are no established negative affects of moderate drinking ? I think the hang-up with alcohol is how inebriation is perceived. There is a difference between being in a state of inebriation and drunkenness. Just recently, less than a week ago, they had an article about new research pointing to even casual drinking of alcohol to shortening your lifespan. I didn't read the article, only the headlines, so I'm not sure if the research was conclusive, or if drinking alcohol does shorten your lifespan. ...and...perhaps most importantly of all: if we abstain from drinking entirely, we then need not worry about forming painfully embarrassing memories associated with dance floors and certain songs. I know they make "halal" makeup that doesn't have pork or alcohol in it. But when I see these things, I have to joke and ask: "Are they expecting their customers to eat the makeup?" I'm of the view that the Quran forbids consuming alcohol, not much else. So in my eyes, "halal" cosmetics is a gimmick. Not to mention, people whom I've met that purchase only halal makeup and hold views that alcohol is forbidden even beyond just drinking ironically keep rubbing alcohol and hand sanitizers around. Not to mention cough syrup and other medicines to relieve common symptoms to colds, flus, etc. Oh, and many cakes, chocolates, etc. in the West are made with alcohol. Vanilla extract. Even Coke is reported to have alcohol in it as a secret ingredient, but I believe Saudi doctors and scholars worked in conjunction to conclude that the alcohol in the soda is no longer alcohol or something along those lines. Speaking of the harms of alcohol, this woman thinks it's Carnival's fault that she got so drunk and fell overboard. Not that i condone fraternizing in all drinking establishments. But the study proves that alcohol certainly can be uplifting to mental health if taken in moderation in a social environment. It was said that when Churchill met Stalin the frostiness between the two leaders was soothed through both their fondness for alcohol and made open dialogue and frankness of debate more personal and relaxed. Their personal relationship was vital in defeating Nazi Germany. Again the state of inebriation is not a sinful state, going beyond being inebriated to going of the rails and knowingly making yourself drunk beyond your control is when you violate what it was intended for. One may or may not get drunk, and if they do they get aggressive, get into fights and hooliganism and crazy driving which can harm or kill people on the street. God's advice to us is Don't play with fire, and preserve your health and intellect. Drunkenness although undesirable.. doesn't automatically lead to aggression in everybody who over does it. People who fall into that category have issues. Alcohol only brings them to the surface. If someone drinks alcohol in the knowledge that their manner changes for the worst under the influence then they in sobriety should avoid it completely . Its not rocket science its simple self discipline. The influence of alcohol you as a Muslim are only taught and teach is a negative one only, whilst ignoring all positive aspects consumed in the proper environment such as serving to heighten feelings of empathy, trust, openness to frank discussion, calming of nerves. and not to mention can bring enemies together. Alcohol is a great ice breaker. How many issues could have been resolved in history over a tipple of wine between foes rather than the ensuing spilled blood God only knows. You can't ignore the fact that alcohol has brought great pleasure to billions of people the world over for thousands of years. The vast majority of drinkers would say it's brought them more benefits than harms over the course of their life. Of course alcohol can cause harm, but there is nothing unethical about damaging your own body, and moderate drinking doesn't damage it a great deal, if at all, anyway. It might even be good for some people if it helps them relax and have fun anyway, as these have positive benefits on the body. Drunk people also do harm to others of course, but when a religious fanatic harms others we say 'blame the individual, not the religion'. 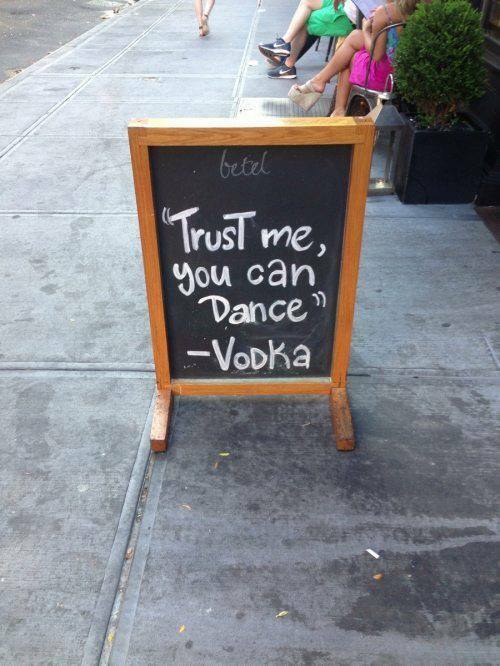 Same is true with alcohol. Alcohol is a great ice breaker. How many issues could have been resolved in history over a tipple of wine between foes rather than the ensuing spilled blood God only knows. They ask you about wine and gambling. Say, "In them is great sin and [yet, some] benefit for people. So don't play with fire! Can a Functioning Alcoholic Be Affected by One Drink? Some functioning alcoholics do indeed show signs of intoxication with as little as a single drink. There are at least two different reasons why this might happen. The prolonged abuse of alcohol takes its toll on the body. Besides destroying brain cells, it affects liver function and can have major effects on metabolism. Because alcohol is a diuretic, and alcoholics typically don’t drink much water, they tend to be in a chronic state of dehydration. Dehydration can of course be responsible for a host of other problems, including brain fog. I have often characterized self-medication with alcohol as voluntary dissociation. The functioning alcoholic drinks to split off from the reality of his life, his pain or his feelings of inadequacy. When he enters that altered state he feels better. The problem is that he has become addicted to alcohol over time. Now he simply needs alcohol to feel at all OK. When people are in dissociated states, with or without alcohol, they are simply not there. Whether the deteriorating memory in the functional alcoholic is the result of brain damage or dissociation or, more probably, both, it should be taken as a symptom of advancing alcoholism. There are signs of an increasing trend in the number of people with Alcohol Related Brain Injury (ARBI), according to new research. Young binge drinkers are merely the tip of the iceberg. The real damage is done behind the scenes as a new generation of middle aged daily drinkers succumb to the health consequences of alcohol, resulting in the loss of around 97,000 years of working life, more perhaps even than smoking for which the equivalent figure seems to be around 84,000 years. Liver disease used to be rare in the UK and even as late as the 1980’s the UK had practically the lowest level of alcohol consumption in Europe, together with lowest liver death rates. For decades since the 1920’s cirrhosis was a disease of the rich because one needed to be relatively wealthy to consume enough strong alcohol to develop cirrhosis. Since the 1970s the picture has transformed completely, liver death rates in working age have increased 500% and liver disease is now a disease of deprivation alongside smoking and obesity. The collective personality of UK citizens hasn’t changed in this time. These are not diseases of ‘inadequate behaviours’, they are diseases of unhealthy environments and of extremely healthy profitability for the corporate shareholders. As such they are the health challenge of the 21st century and the corporations and investors who profit can be viewed as vectors, just as mosquitoes are the vectors of malaria. The addiction industries – gambling, alcohol and now sugar – had it tough last week. All are under pressure to defend their industries against increasing evidence of their harm and calls for intervention. But the chances of this government acting in the wider public interest are almost nil. Lobbying by these industries has put paid to that. The lobbying strategies they employ to win politicians to their cause are strikingly similar. And they have all learnt their tactics from one industry: tobacco. The lobbying starts with denial. When the sugar industry was last week forced onto the back foot by public health scientists calling for action to cut sugar intake to protect public health, the predictable response was to deny the now substantial evidence showing sugar’s harm: ‘Sugars… are not the cause of obesity,’ said industry lobby group, the Food and Drink Federation. This has long been the position of the industry. The fifty year campaign to deny the link between tobacco and disease is well documented. “Doubt is our product”, as one tobacco executive wrote in 1969. Put plainly, no one was to believe the evidence before them. People must remain in doubt. The doctors and academics calling for action this week were quite right to dub sugar “the new tobacco”. Alongside industry denial campaigns, the addiction lobbyists have also sought to embed themselves in government and dominate any policy-response to harm caused by their product. Of course, if you are a social pariah that is going to be harder than if you are seen as a “responsible” company actively working to tackle problems. Lobbyists have worked hard to reposition their industries as the solution to a manageable problem. Tobacco got this wrong. In the eighties, executives worried in private that their denial message was becoming untenable. An internal BAT from the time shows tobacco scientists arguing that they should publicly acknowledge that there was a “probability that smoking is harmful to a small percentage of heavy smokers”. It was a proposed damage limitation exercise. “By giving a little we may gain a lot. By giving nothing we stand to lose everything”, one said. In the event it took another 20 years for them to publicly concede that smoking was bad for you. The alcohol industry learnt from the tobacco industry’s mistake. For decades, alcohol’s strategy to fend off government regulation has been to redefine the problem with alcohol as one affecting a small minority of heavy drinkers, contrary to the evidence. I agree with Magister about halal perfumes and make up. Well, the pig is a complicated issue, because some scholars say that pig is "dirty" per se, so you are not allowed to pray wearing a "piece of pig". But it depends how much the chemical structure has been changed, for example pig leather is modified in its structure when used for shoes and jackets, same I think about medicines done with some components of pig gelatin. But for alcohol...it's clear that we should avoid drinking it, but alcohol in itself is a good a clean substance used for disinfection and many other things, among those the once you listed. Of course I wouldn't go to the supermarket and buy a bottle of wine to make my make up, especially because I am recognizable as a Muslim. I just thought of taking some from my mum, I need two table spoons to make a jar of cream, since it will be mixed with other ingredients. We've been down the religious route Al, as well as the scientific one. Gambling is a different thing altogether. What has been established here however is that the vast majority who do drink or "play with fire" as you'd have it never get burned and never burn anyone else but enjoy great times with no i'll health effects. A very small minority fall into the category who abuse it as a substance to their own peril and to the misery of those closest to them and around them and blights lives. Because a tiny few cannot exercise control over their lives does not mean everyone has to be denied its pleasures as is and was intended. Have you been near a pub lately on a weekend or seen football hooligans how they behave with too many beers? Again this is more to do with an attitude of a demographic of people and the industry which caters to it within a secular and free society.. NOT the alcohol itself. If i'm at home and joined with friends whom I've invited over and during the course of the evening we empty several bottles of wine between us, and they leave at the end of the evening in high spirits and in jovial mood and none of us having caused offense to anyone.. Can i be classed the same as the hooligan who drinks but who has an attitude towards life in general before his consumption of alcohol even begins ? No of course not, because that is private business not public. I love making my own creams and masks too...infact even cleaners and detergents when I have time.Recently bought some Bergamot essential oil which i can't wait to use in a facial cream. But have to be careful cause it causes photosensitivity.....great for stress though...Any tips?Do you like aromatherapy? It is lawful to buy, sell, and use perfumes and cosmetics that contain alcohol, because the amount of alcohol is not significant and it is mixed with other materials. It is not used as a drink, otherwise would be unlawful, even for selling and buying. If we say that such products are impure, then we have to say the same about many items such as gasoline and many other petroleum products that contain alcohol. Even for intoxicating drinks, the preferable saying is that they are pure in and of themselves. They are unlawful because they intoxicate, not because they are impure. When the Qur’ân calls wine as abomination, it is emphasizing that it is bad and forbidden. That is why it is mentioned as an abomination along with gambling, sacrificing to idols, and divination by arrows, none of which are physical impurities according to the agreement of the scholars. Therefore, there is no evidence in this verse that alcohol is impure. If intoxicants were impure, they would not have been poured into the streets of Madinah while there is severe warning against who those who urinate in the roadways. Also, when intoxicants were prohibited, people were not requested to wash their utensils or clothes from it, not even those containers that held liquor. In one famous hadîth, a person was not asked even to clean the containers that contained alcohol. [Sahîh Muslim (1579) and Sunan al-Nasâ’î (4664)] All this is supported by the general principle in Islamic Law that things are assumed to be pure unless otherwise cited with evidence.